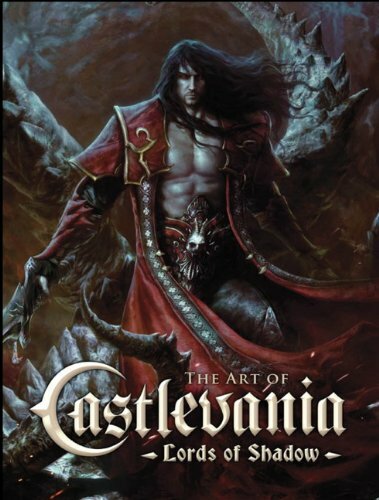 Here's a really nice concept artbook for fans of the video game series Castlevania: Lords of Shadow. This 192-page hardcover packs a lot of content as it includes art for the three game titles Castlevania: Lords of Shadow 1 and 2, and Mirror of Fate. The art is beautiful, dark and moody. It's a wonderful reimagination to the Castlevania franchise that started in 1986. It features mainly characters and environment designs. There are many full page paintings alongside the designs. Of course you'll see Gabriel Belmont, Dracula, all the Belmont family, and characters like allies, antagonists such as Satan, Titans and other enemies. Lastly there are the environment art that captures the atmosphere of the game very well. Exteriors are foreboding where shadows loom and the sunlight struggles to break.through. Interiors are exquisite especially those of the castles and rich in details. There's also a majestic and grand feeling because of the high ceilings in spite of the gloomy darkness. There's even a full 2D cross section map of Mirror of Fate act 2 which is pretty cool. Developers MercurySteam have also included a good amount of writeup into the design concepts and stories of their development process, like how Hideo Kojima, creator of the Metal Gear franchise, got involved. Overall, it's a wonderful video game artbook. Highly recommended for fans of the game and art.